This training course gives you the knowledge and skills needed to review, benchmark and refine operational risk policies within your financial institution. This training gives you the foundation knowledge and skills needed to review, benchmark and refine operational risk policies within your financial institution according to the Basel standards. If you’re working in the Banking industry, then it’s an absolute must to understand the impact of operational risks for the role you have. It’s not just something that is taken care of by Operations, Audit and Compliance. I never imagined the great impact of the operational risk on the business as a whole before attending this course...I got a lot of ideas to implement in my department / bank. What are the Operational Risks? OPTIONAL: Certification Exam – You must pass the certification exam in order to receive the additional Certified Operations Risk Specialist-Level 1 (CORS) designation & certificate. You will still receive a downloadable-PDF certificate of completion for the course whether you complete the exam or not. Who should enroll in the Certified Operations Risk Specialist training course? On-demand video lessons so you may watch at your own convenience. Our online distance learning course sessions include scheduled Question and Answer (Q&A) sessions where you can submit any questions specific to your situation or about anything in the course. Q&A sessions are recorded for you to view at your leisure. It's the closest you can get to getting personalised coaching. After completing the training, you receive a digital & printable Ethan Hathaway certificate of completion to mark your achievement. 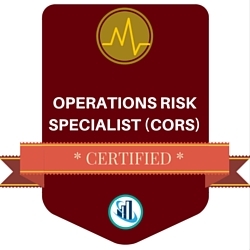 This digital badge designates you as a Certified Operations Risk Specialist (CORS), which you may use on business cards, resumes, LinkedIn profiles, website profiles, email signatures and more. To continue using your badge, you must renew your membership certification each year. In addition to the Certificate of Completion for the course in general, if you successfully pass the Certification exam, you also receive a digital printable CORS Certificate to mark your achievement. As part of your successful certification, you also receive a full year's access to the Compliance & Risk Intelligence Membership to help you keep up-to-date on the industry issues. In order to keep your status as a CORS in good standing, you need to regularly take Continuing Professional Development courses. There are LOTS of training providers in the market, so why choose Ethan Hathaway? Ethan Hathaway has established itself as a reputable training partner for over a decade to top companies all over the world. Our philosophy is to make YOU as valuable as can be both in your career and your employer. Ethan Hathaway is also a British Accreditation Council (BAC) accredited international Centre. To become BAC accredited, we undergo a rigorous assessment to show our devotion and commitment to ensuring we provide YOU with a quality training result. Not many other training providers can say they have gone through this process or commitment. Q: How many attempts do I get for the exam? A: Your fee includes 2 attempts at the exam. The highest score will be your final result. Q: Is there a time limit for the exam? A: Yes, the exam must be completed within 90 minutes of starting the exam. Q: What is the required grade to pass the exam? A: You must achieve a grade score of 80% or higher to become certified. Q: How difficult is the exam? A: The exam is in multiple-choice format and is meant to verify you have learned and understood the objectives of the course. We have made the exam challenging in order to ensure a high degree of standard for certification. Q: Do I have to take the exam? A: No, the Certification exam is optional and you may take the course without taking the certification exam. Please note, by not taking the certification exam, you are not eligible for a badge, membership, nor the CORS designation. Q: How do I take the exam? A: The certification exam is delivered online. Q: Am I guaranteed employment if I become Certified? A: No. There is no certification, qualification or training course that can guarantee employment. While we hope this certification can help you get a leg up on competition, it is no guarantee of future employment. Q: Am I guaranteed to pass the exam? A: No. There is no guarantee you will pass the exam. The certification exam is an unbiased exam meant to objectively evaluate a potential delegate's learning. Q: Can I get a refund for the online course? A: No, we do not issue refunds on online courses nor the certification exams. If we find you have a valid reason to ask for credit, we are happy to offer you credit towards future products/services at our discretion. A: Currently we do not offer any scholarships. Under certain circumstances, we may offer a payment plan for eligible individuals. Q: Is this Certification internationally recognized? A: Recognition is a subjective-thing. 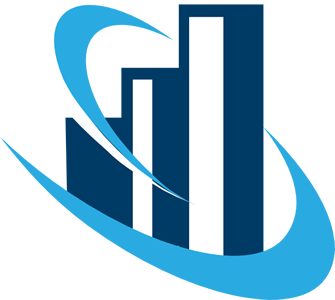 However, Ethan Hathaway is a globally recognized training provider to multinational companies and government agencies. We also work with industry experts and professionals on our Board of Advisors to ensure the courses are relevant for the current market. Become a Certified Operations Risk Specialist Today!